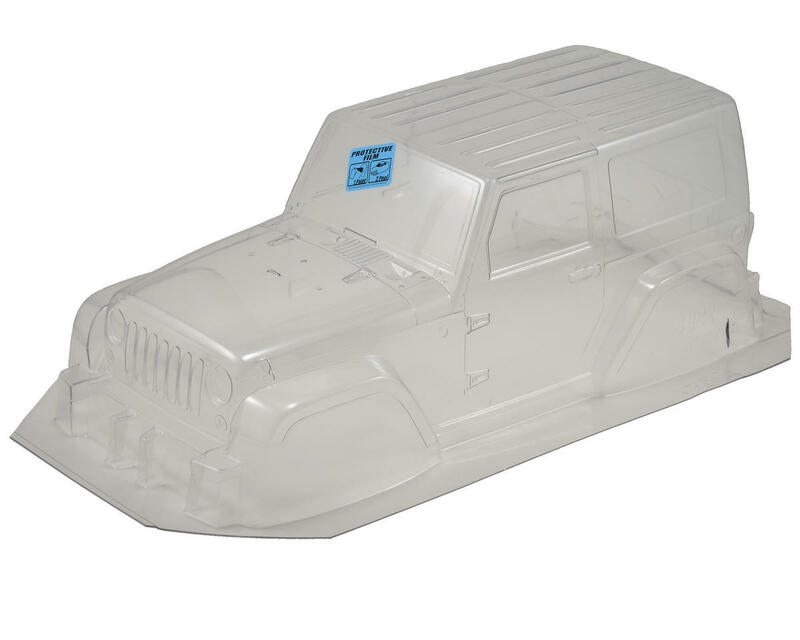 This is the Pro-Line 2009 Jeep Wrangler 1/10 Crawler Body. Rugged, tough, and soon to be classic styling are now available from Pro-Line for 1/10 Scale Builders and Rock Crawler owners. 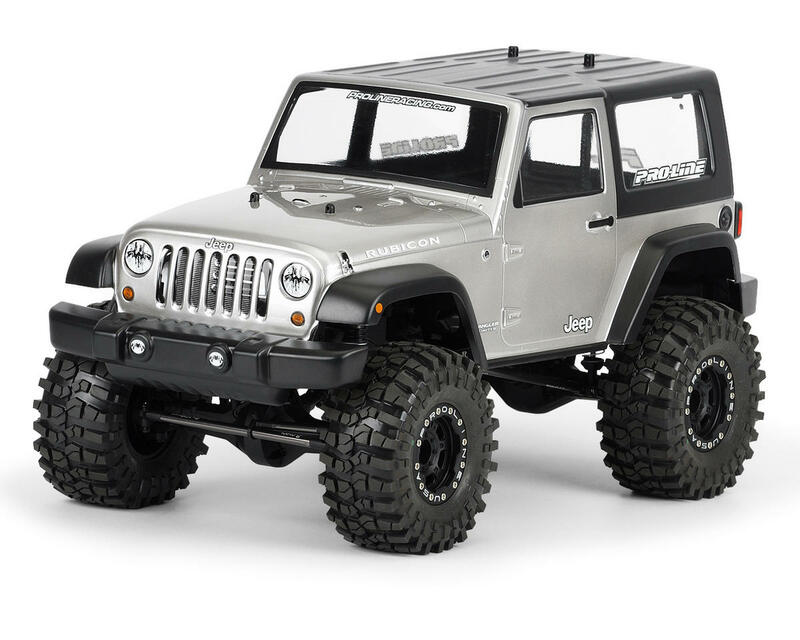 The Jeep® Wrangler Rubicon is one of the first RC bodies to offer innovative high-detail features such as front and rear bumpers with lighting details (note: uses stickers for lights). 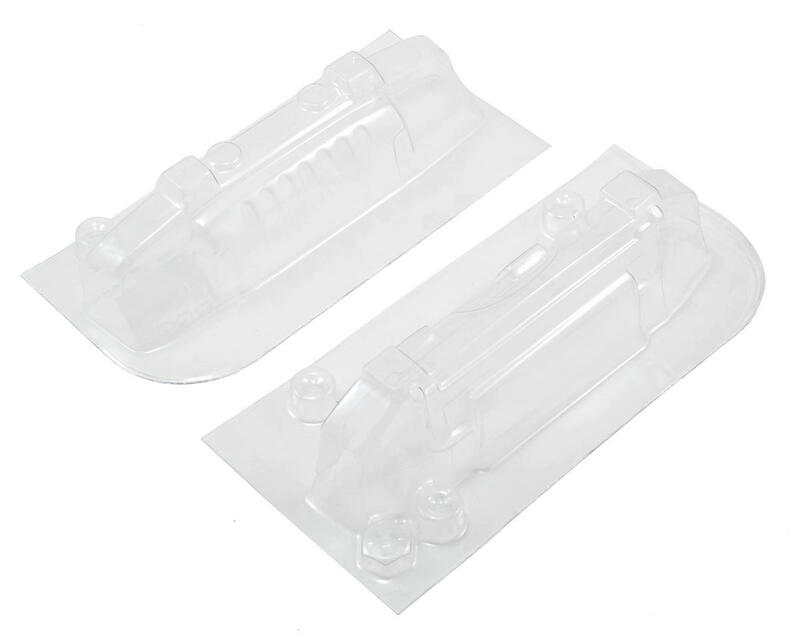 These bumpers are separate items that are attached to the body with double stick tape or hardware of your choice. Its Jeep® styling is a perfect match to it’s full size counterpart that made is an automotive classic. Made from super strong Lexan material, the Jeep® Wrangler Rubicon is ready for off-roading in a dirt field or rock mountain near you. When mounting on an Axial SCX10, Axial's AX80031 body post is required. Nice Fit on the vaterra ascender k10. No wheelbase change needed to fit the chasis to the body. 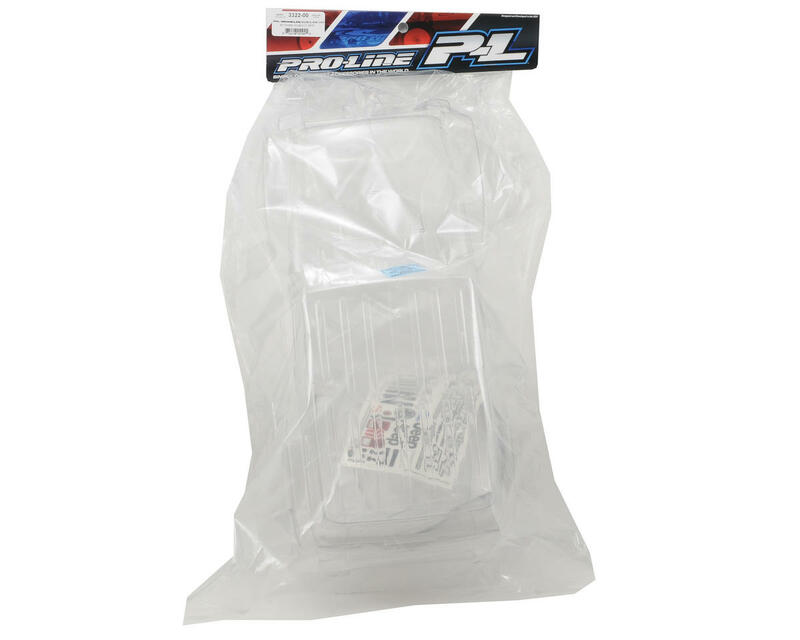 Proline makes some of the nicest Lexan bodies...good Lexan thickness allaround. Also the jcr roof Rack of the axial scx10 II fits perfecto. Nice body. That new silver paint that's out made my front grill look scale!! I ordered this body because it said it was compatible with my Wheely King but when it arrived it looked a bit too long after I painted it and tried to make it fit it just looked goofy... What a waste of money!